Web2.0 Job Search: Evolution or Revolution? Lacking an official definition, the Web2.0 label means different things to different people regardless of whether they have Israeli startups in mind. At its simplest, we can say that Web2.0 refers to the state of the Internet today as opposed to during the late '90s Internet Bubble. With that in mind, what has changed when it comes to job hunting? Many sites now allow you to begin typing in a field, usually the search box, with results being automatically suggested before you've finished typing. Krop.com has implemented this well, and it does save a little time while making for a more pleasurable job search. Change: Evolution. Once Google Maps was launched and shown to be easily mashed up with other websites, it was only a matter of time before the maps started appearing everywhere. Many jobsites are now using the Maps technology such as HOBoJOB and JobMaps, which allow you to search Indeed.com‘s jobs database and plot the results on a Google Map. Jobhunters Online puts a twist on the idea, allowing job seekers to post their location so that recruiters can find them easily. Change: Evolution. Having an online presence is important when job hunting whether you're a student, aspiring writer, or just looking for your next big adventure. Before blogs, many people had personal websites where they were blogging without it being called that. What has changed is that new blogging technologies have made personal websites of this kind easier to launch, maintain and above all, interact with other bloggers via comments, trackbacks and pingbacks. Change: Revolution. Really Simple Syndication technology is just that. So simple that millions of people are now using RSS feeds to keep track of everything and anything on the Internet, like search results for certain job criteria or updates on favorite job blogs (like this one). Yahoo! Pipes will even let you mix and blend any feeds to your heart's content. In the past, you would have needed to overwhelm your inbox to accomplish the same feats. Change: Revolution. The proliferation of video sharing sites like YouTube led people to begin posting video resumes of themselves, and there are already dedicated Video CV or VCV-posting sites. A nice idea until you realize that recruiters hate them since recruiters often lack the time to go through all the paper resumes they receive and video takes much longer to sort, assuming they even have the proper tools to do so. Plus, if your video is particularly memorable in a bad way, it could come back to haunt you as Aleksey Vayner found out. On the other hand, more and more companies are using video clips to sell themselves to prospective recruits. Change: Evolution. Recorded audio resumes probably generate recruiter anger quicker than video resumes for the same reasons as above, but there are companies putting out audio job listings via sites like Jobs in Pods. Job seekers who spend hours scanning listings will find other Web2.0 innovations more appealing since this idea will only slow them down, but I think enough people will appreciate that they can listen to job podcasts on their cellphones. Change: Evolution. If there's one concept that has become synonymous with Web2.0, it's social networks. The two kinds that are especially pertinent for job seekers and jobfinders are networks to help people contact each other such as LinkedIn (Guy Kawasaki explains why) and networks that filter the Web's best content- i.e. 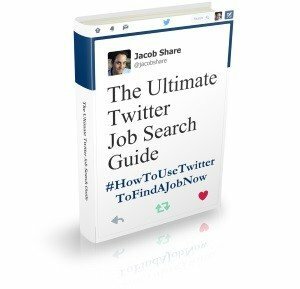 job search tips and advice – like Stumbleupon or Shaveh (Hebrew). Change: Revolution. Many of the new Web2.0 technologies represent a significant leap forward, and some of them are so much fun to use that you may become distracted. However, if you stay disciplined you can reap their benefits of making networking simpler, improving your productivity and increasing your reach towards the ever elusive dream job. Early adopter? 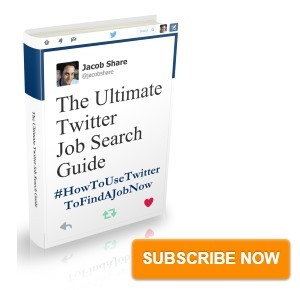 Subscribe to JobMob via email or RSS for more tips on how technology is changing job hunting forever. I know it is just an opinion; but… I am a recruiter for a national company and hiring by over the phone interviews “STINK!!!â€? I do have to say that most (and by most, I mean 99.9999%) of video resumes currently posted are no better than an entertainment value due to their performance, even the ones for people in the media industry. Most people will try to do it themselves rather than hire a professional. It is like someone working for a company finds out you can use Microsoft Word for a layout program and all of a sudden, they are a graphic artist. A comparison tangent? YES! I am just trying to make a point. A video resume will tell me muchâ€¦ no, MUCH faster if I want to pursue the candidate; and not because of their looks. If anyone hires by looks, they might be missing out on someone who â€œcouldâ€? take their company to new heights. I like the idea of a video resume because anyone can have a resume â€œprofessionallyâ€? written. How are â€œyouâ€? as an HR manager, recruiter or just someone in the position of hiring going to know if the candidate is worth perusing by something you donâ€™t even know that they wrote? You wonâ€™t!!! It is a trap shoot in this game. A video resume is just another tool I could use to â€œhelpâ€? weed out that stack of â€œprofessionally writtenâ€? resumes on my desk. If you are saying that video resumesâ€™ as a stand alone means for applying for a job is senselessâ€¦ I have to agree. However, if used in unison it can help â€œmeâ€? make better decisions on (at the minimum) who to interview. I just want to interject here, that I would still require a written resume; I donâ€™t care how good the video was. I donâ€™t think a video resume should be over done; I donâ€™t need to know they love their dog or can play a piano. Having a good 30 second or less lead in (like a cover letter) would be enough for me to want to read or watch their resume. In closing, there is â€œNOTHINGâ€? that will beat a well written resume I am with you on that. EXCEPTâ€¦ For a â€œwrittenâ€? resume that comes to me by e-mail with the resume attached with a link to their video or even by regular mail accompanied with a DVD. I prefer e-mail. We have the technologyâ€¦ why not use it? If you are referring to someone applying to a hamburger restaurant; your right. But; as a recruiter, I am telling you if after scanning through resumes and I find a few I like… if any have a video, I am going to watch. A video may very well determine if I hire them or not. I can tell more about an individual’s demeanor than anyone can with just a written resume. The video resume is on its way… it is just there are so many done right now that just out right stink because they were not done professionally. That is where the pro videographer comes in just like the pro resume writer. Mike, video is just another tool in a job search. It can be used and abused. As you point out, there are moments where a video resume can be useful but it’s overkill for most job seekers at this point. If I watch their video… sincerity and demeanor to start; secondly, cross referencing what is written and what they are saying; it really is not that hard. What better way is there; to prevent an interview that a hiring manager or even the candidate discovers shortly after first contact (in the interview) that there is no match? Kind of a waste of time… don’t you think? Wouldnâ€™t having confidence in the candidate before the actual interview help prevent this? Doing so might even help the hiring manager discover questions he may want to ask the candidate before the actual interview. Quite productiveâ€¦ wouldnâ€™t you say? Interesting – so you do a first pass through the paper resumes, and then go to the video? As a recruiter, what would you like to see in a video resume that would make you immediately jump to contact the candidate? Previous PostWeb2.0: Israel Better Than Europe?